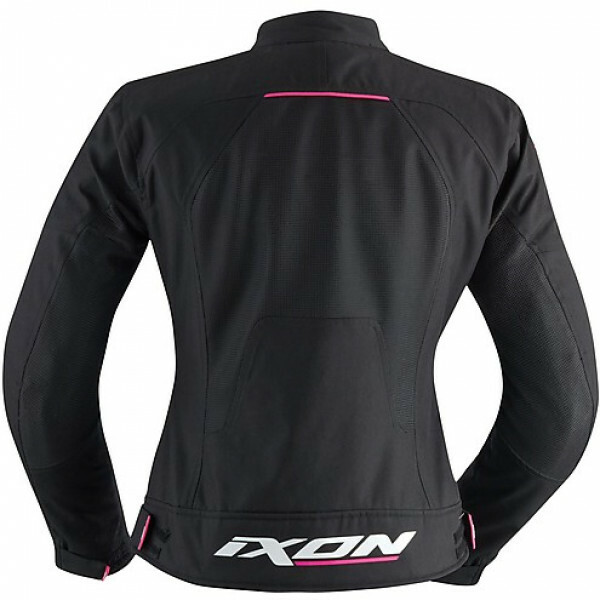 Women motorcycle jacket Ixon Helia model, black color. The Helia jacket is mainly meant for the summer thanks to its two layers manageable running time. 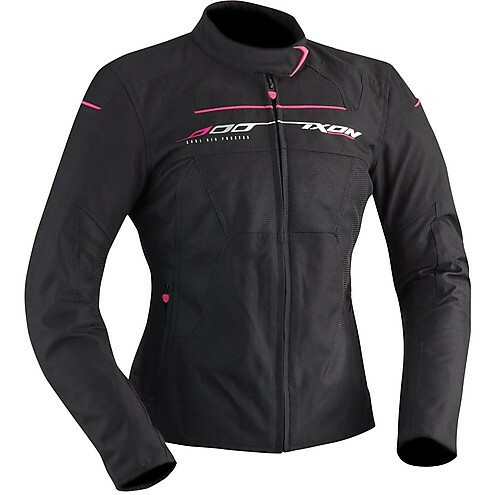 It is a jacket designed for the female audience and made of nylon fabric with large network areas; therefore extremely breathable and ventilated with the addition of a useful detachable inner membrane that, when in its place, makes the Helia completely waterproof. The cut is of short type, halfway between the classical and the sportsman, and therefore suitable for many types of motion. The Helia is equipped with removable CE approved shoulder and elbow protectors Lev.1 addition to preparing for the adoption of the back protector (optional and sold separately). 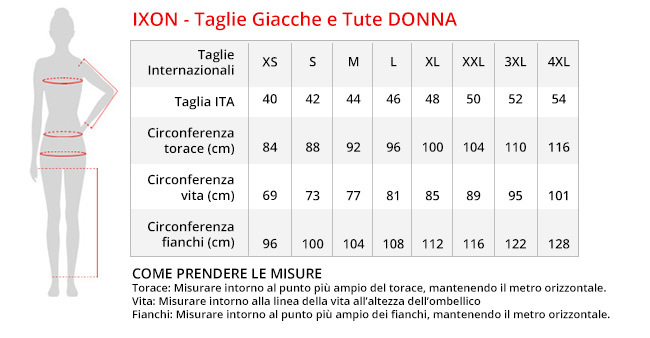 There is finally two external pockets, two inside pockets and a waterproof for wallets or mobile.